So, you’ll have to take my word for it that I finally encountered an animal I’ve been longing to find in a pool. After four decades of failure, my big moment came while I was taking some friends rock pooling this week. At risk of overtopping my wellies, I was wading in the centre of a long pool, staring through a clump of Sargassum weed to the sand beneath. 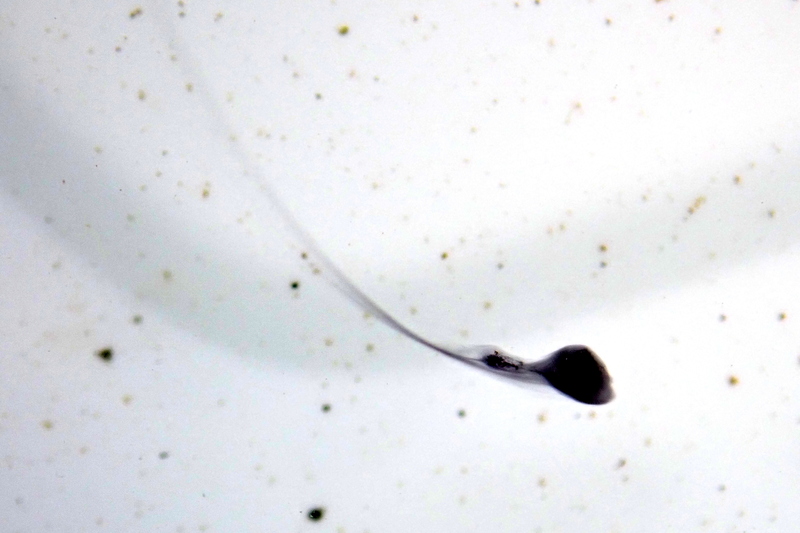 Some baby dragonet fish were zipping from spot to spot and I, as usual, was failing to take a photo of them. As I bent in close to tease aside some seaweed, a few small creatures shot out. I only had a second to clock that they seemed to be swimming backwards with jerky movements. It was hard to make them out given their sandy colouring, but in the moment it took me to turn towards them and realise what they were, they were gone. From their shape they had to be either young common cuttlefish (Sepia officinalis) or, very likely, the little cuttlefish (Sepia atlantica). These amazing animals can adapt their camouflage to match their surroundings or to signal their mood. It’s difficult to believe that such mobile, intelligent creatures are a type of mollusc, making them distant relations of limpets and mussels. 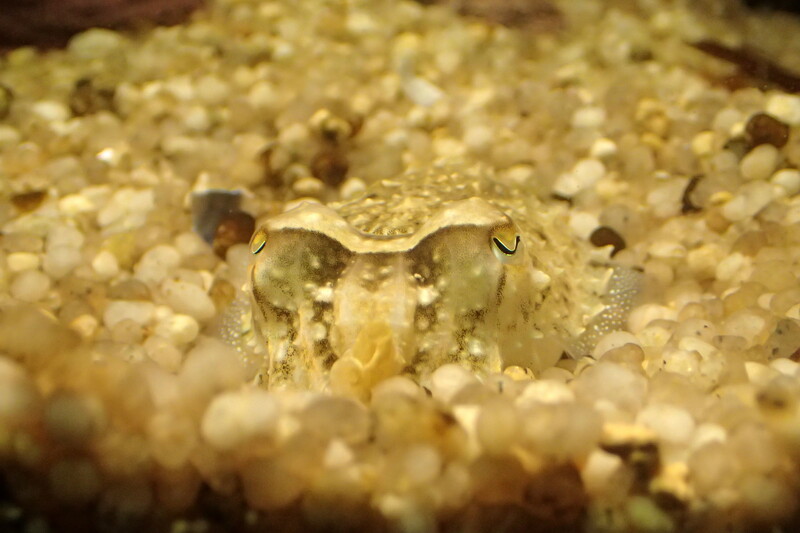 Cuttlefish, like this one in an aquarium, are masters of disguise. Along with an octopus and a seahorse they’re the thing I’ve always wanted to find (in the case of seahorses, I almost definitely never will). Without photos of the cuttlefish or much likelihood of re-finding them in this pool, my excitement was tinged with disappointment. It was going to sound like a tall tale of “the one that got away”. 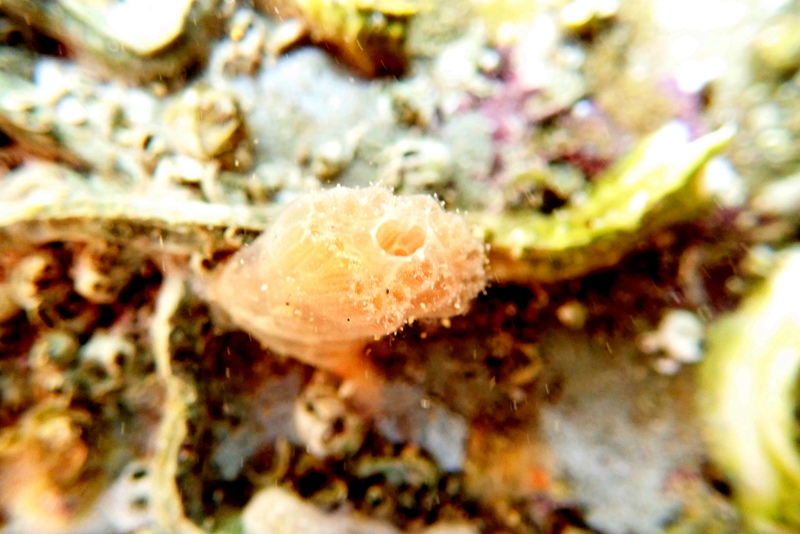 The second after the cuttlefish disappeared, my eye was drawn back to where they had been. In the water, tails spreading behind them like minuscule comets, were several black blobs. During their escape from the giant wellies and the hand parting the seaweed, they had fired off their defensive ink. The way the ink formed little clumps suggested they had deliberately mixed the ink with mucus to make it look like little decoy cuttlefish. With a yelp of delight, I scooped up some ink in a tub and proudly showed my friends and Junior. I’m not at all sure they were as impressed as I was. But at least there’s a chance you’ll believe me that I really did finally see cuttlefish in a rock pool. Perhaps next time I’ll capture some photos of an actual cuttlefish. In the meantime enjoy your summer rockpooling adventures and don’t forget there are loads of holiday events for all the family that would love your support (and some decent weather for a change). 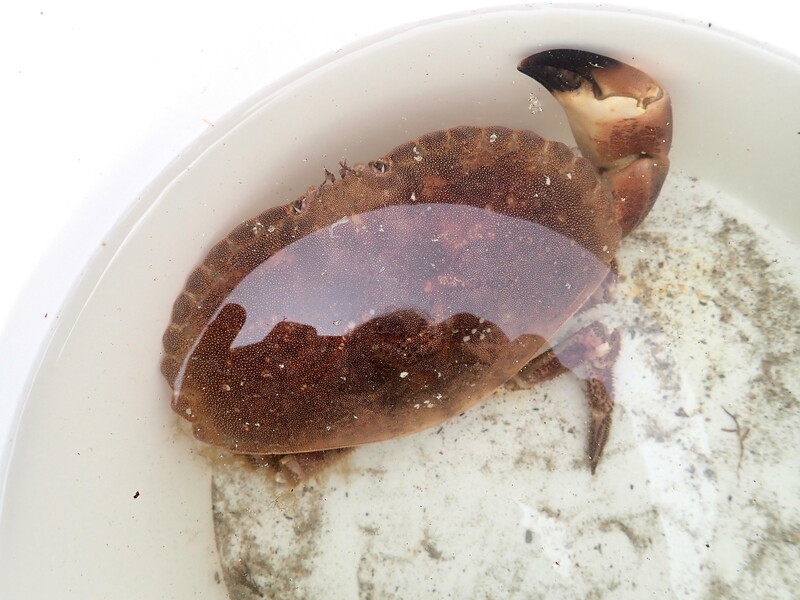 Here’s one that didn’t get away – a large edible crab which impressed my friends far more than my pot of ink. 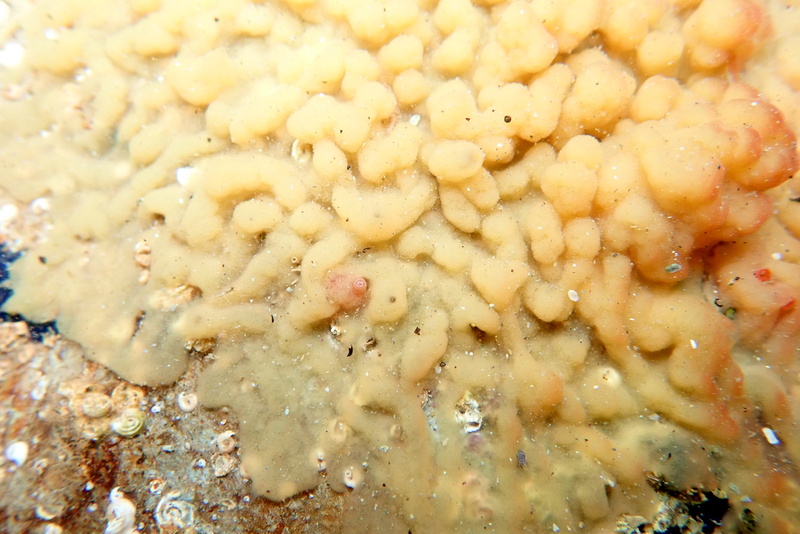 I also thought this Aplidium turbinatum sea squirt was rather lovely – and it doesn’t move, which is always a bonus. Ah amazing! It is on my bucket list to see a cuttlefish in a rockpool too. Not that I believe it’ll ever happen! By the way, I’ve recently moved to Plymouth and would love to take you up on the offer (from long ago!) of a rockpooling adventure sometime soon! Thanks Nik, I hope you do get to see a cuttlefish someday and that you have a bit more luck than I did in getting a photo of it! Crikey you’ve crossed the border! 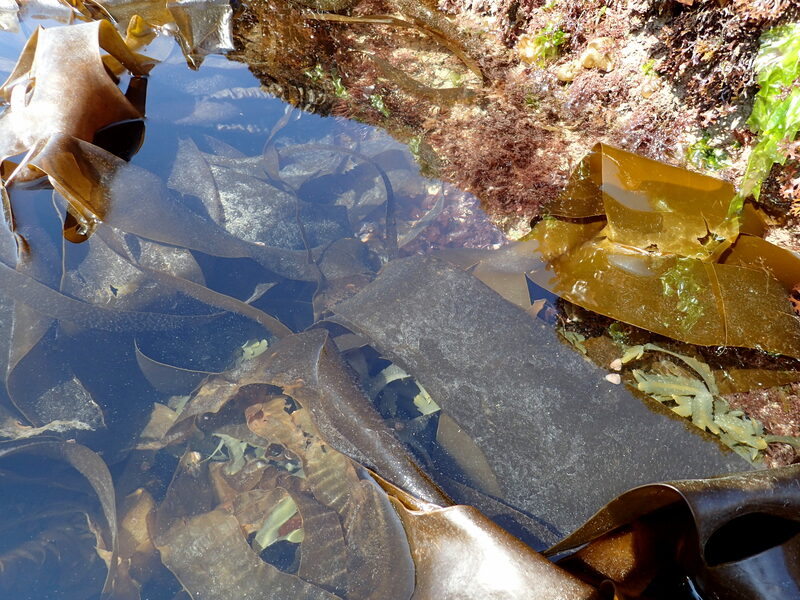 I hope all’s going well in Plymouth and yes, it’d be great to have a rockpooling adventure soon. Drop me a line through the contact page if you don’t have my email and we can sort out a day. I’m hoping the weather will sort itself out in time for the next big lows in a couple of weeks. Some really beautiful pictures as always. I was lucky enough to see a British octopus – I was fishing in North Wales (while still a student), and I foul-hooked an octopus. I reeled it in with no damage and placed it in a rockpool for a while to examine it. No pictures I’m afraid. It was truly beautiful. Of course we released it quickly and it returned to the depths unharmed. I have not seen one since. 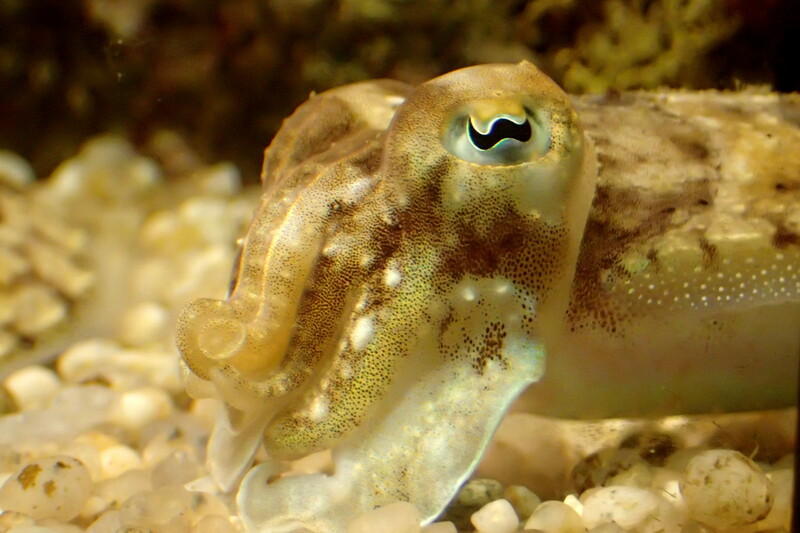 Would love to spot a cuttlefish in a rock pool, they’re such amazing creatures!